Black dyed leather gloves. Enables its wearer to hide in the shadows with silent finesse. The wearer of this fine attire was admired by friends and enemies alike, for his skills were unmatched, and his heart was true as gold. As its new owner, you have quite the shoes to fill. Sold by Unbreakable Patches for 2,000 souls. Sold by the Shrine Handmaid for 2,000 souls after giving her Patches' Ashes. 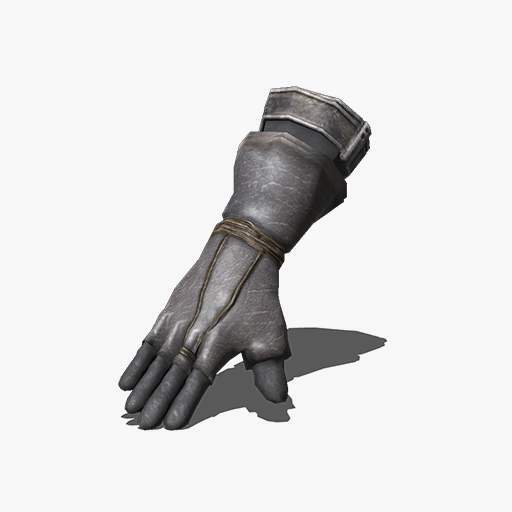 Starting gloves for the Thief class.